Celtic Rider Ireland self-Drive Car Tours is officially approved by Tourism Ireland and Failte Ireland. 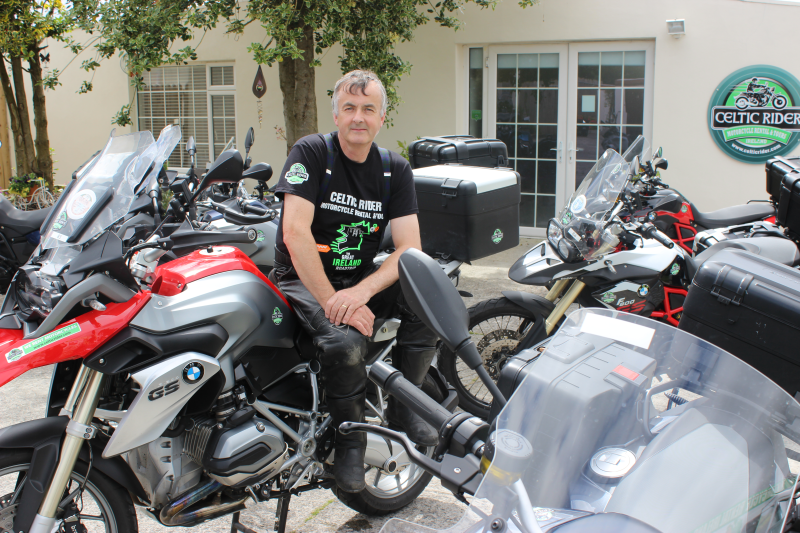 Day 1 – Celtic Rider Offices to Donegal. Transfer to collect Car, then at Celtic Rider, attend and enjoy safety orientation course. 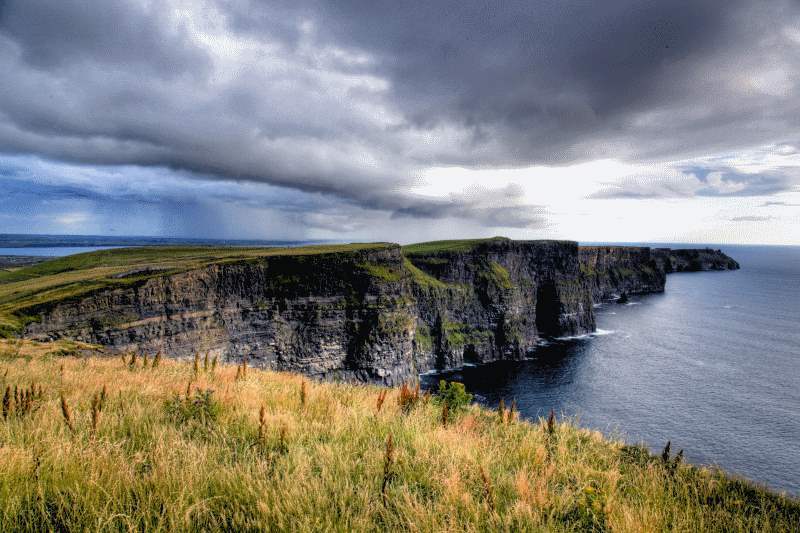 This drive briefly takes you through northern Ireland, along upper and lower Lough Erne. There are no customs checks in Ireland anymore, the only difference you will notice are the speed signs are in miles per hour, not km. Follow the Garmin route up through Barnesmore gap, a smugglers haven in time gone by. 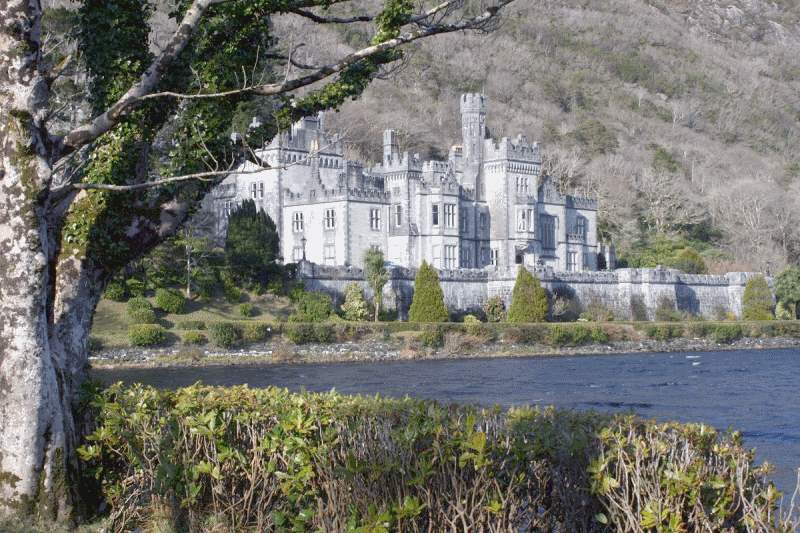 Continue the drive to the stunning Glenveagh National Park and Castle in North West Donegal, with the majestic Derryveagh mountains all around you. 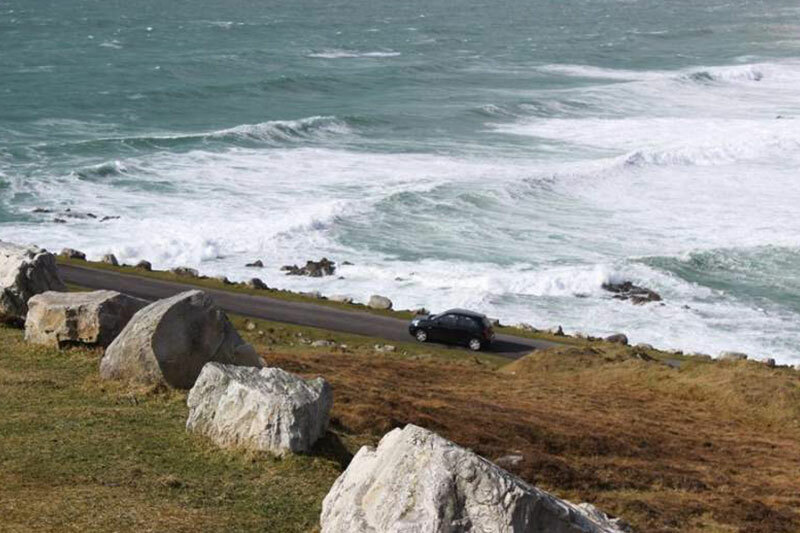 Continue driving along the route through wild and remote Donegal to Ardara, then drive the Glengash mountain pass. 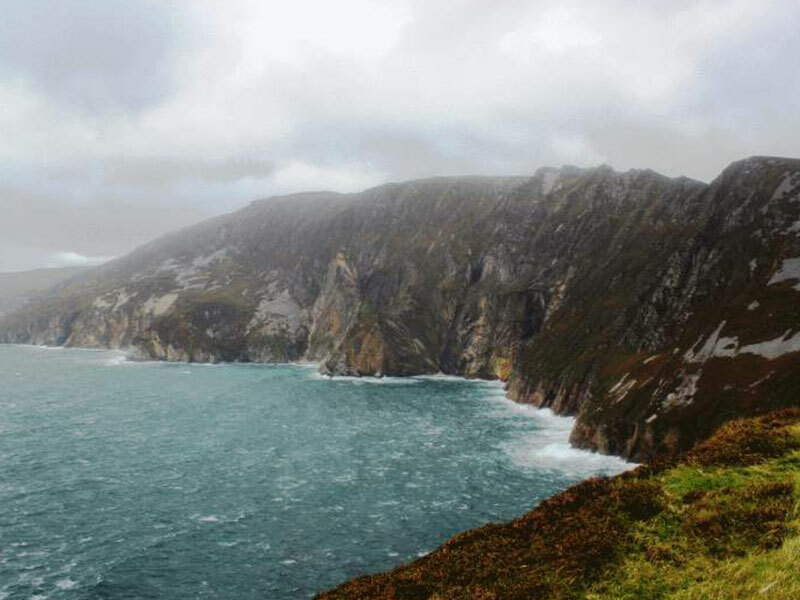 Onwards to Carrick, then Teelin village, follow the route to ‘The Rusty’ a small old pub and just 100 metres after the pub you turn right to the start of the ascent to the highest sea cliffs in Europe, Slieve League Cliffs, at 2000 ft high. The drive up is as memorable as the amazing view from the upper parking area, accessed by opening a farm gate on the way up. Often there are trawlers fishing, they look like tiny dots on the Atlantic ocean from the summit of the cliffs. Next is Ballyvaughan, great pub/restaurant here called ‘Monks Kitchen’( favourites). 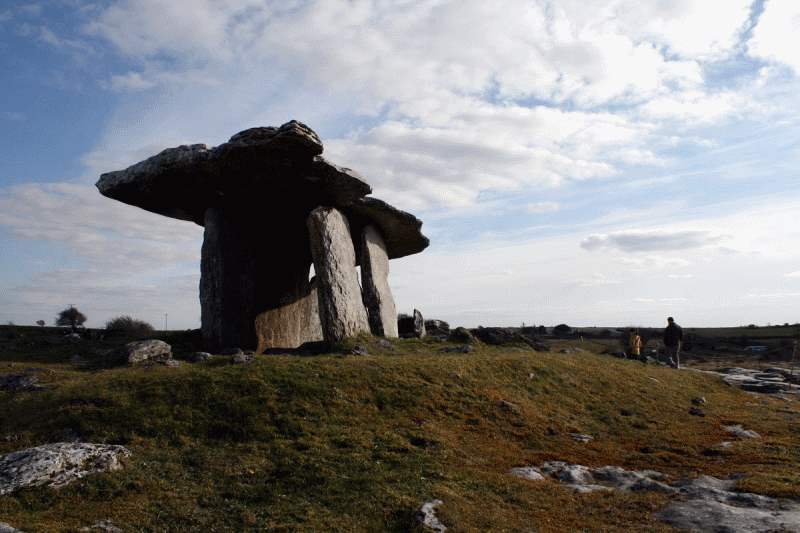 Optional visit to Aillwee caves, a subterranean cave deep under the Burren, a great tourist attraction. 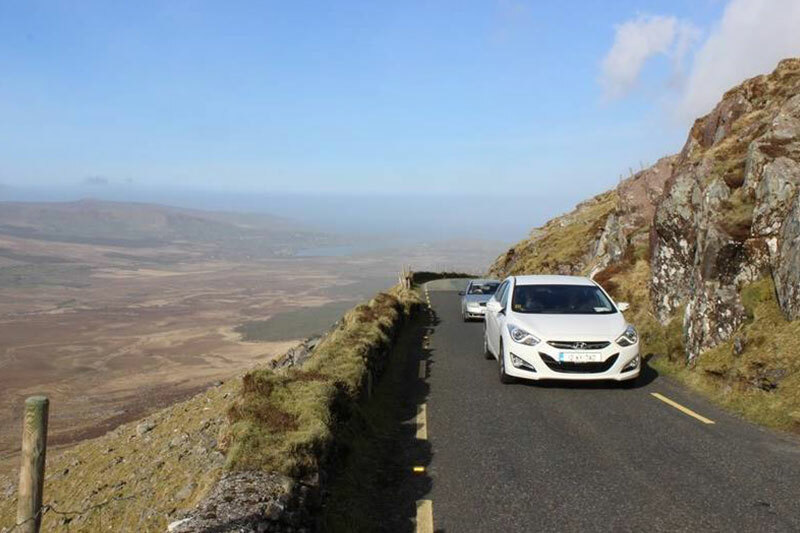 Park your car in the upper car park with fantastic views across Galway bay. Follow the route north along the coast road to Blackhead, stopping at Murrooughtoohy car park. Take a walk on this bizarre limestone beach with millions of boulders deposited from the last Ice age, and beautiful wild orchids living in cracks in the limestone rock. A short walk brings you to the ocean. Continue along the route to Ballyvaughan then then drive to Lisdoonvarna (famous the world over for its matchmaking festival in Sept) via Corkscrew hill, very tight hairpins. Leaving Bunratty take the road to Killimer and jump aboard the ferry for the short crossing to Tarbert in Kerry. 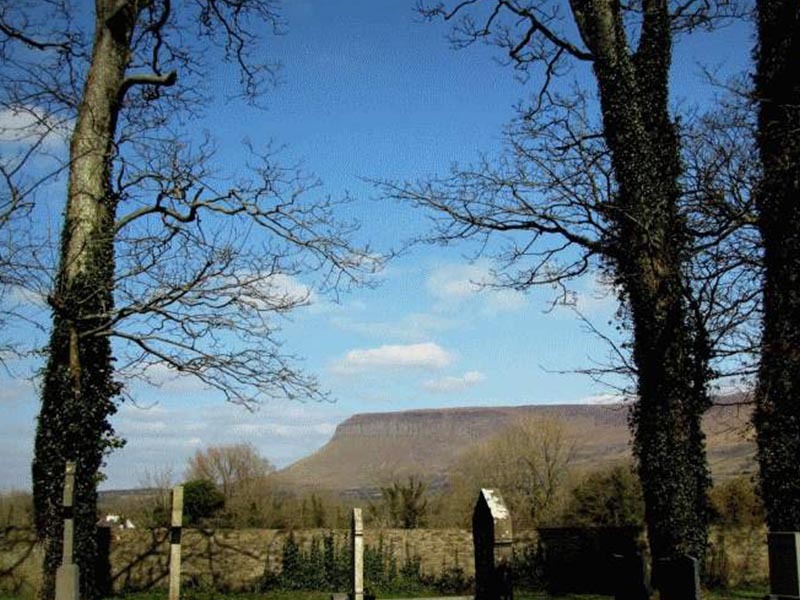 Listowel, famous for horse racing, then Tralee and drive to Camp village on the Dingle Peninsula, described by the National Geographic magazine as one of the most beautiful places on the planet. From Dingle drive along the coast taking in Inch beach and on Killorglin, famous for its Puck fair, to your destination, Killarney. Killarney, affectionately known as the jewel of the south west is a great town, buzzing with great restaurants and pubs. Alternatively, drive the world famous Ring of Kerry, and the incredible Gap of Dunloe, the most beautiful glaciated valley in Europe, a challenging drive but very much worth the effort. Departing Killarney, the route today brings you through the agricultural midlands of Ireland. From Killarney drive to Mitchelstown and on to Cashel and visit The Rock of Cashel, this is where Queen Elizabeth came on her historic visit to Ireland in May 2011. 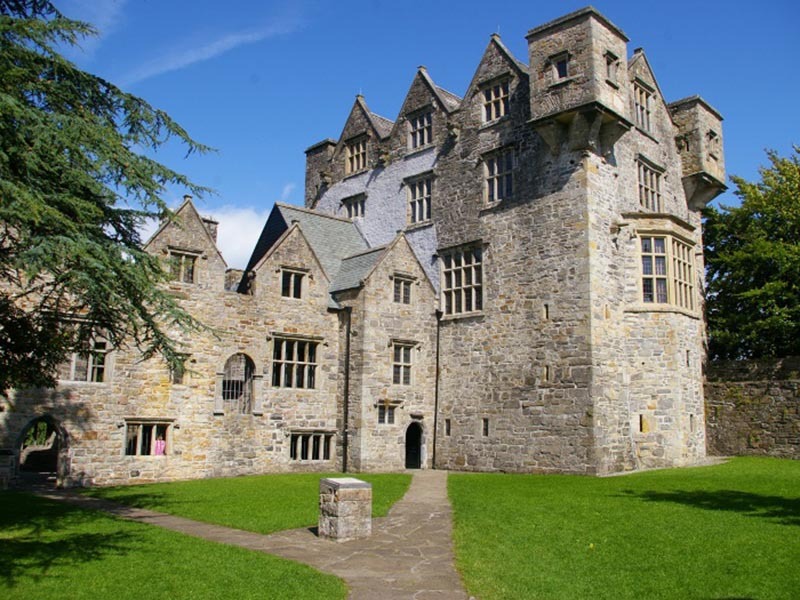 The Castle was the seat of the high Kings of Ireland for over 1000 years, well worth visiting and good place to stop for refreshments before riding back to Celtic Rider. We will assist with unpacking the car, full check over and complete paperwork before arranging drop off to your Dublin hotel or Dublin Airport. Pricing & Details – *please note that we endeavour to keep all prices as stated below, however due to certain peak times some accommodation providers costs increase and this can be reflected on your quote. All prices below are ‘From’ the price stated but more often they are the actual price stated.